In 1942, a small group of devoted Christians began planning the birth of a new church in Vancouver to provide a place where the influx of workers, at the Kaiser Shipyards, could gather to hear Gods message of peace through His Son Jesus Christ. In 1943, Reverend Amos A. Schmidt was installed as Pastor. The church was organized as Calvary Evangelical Lutheran Church. The congregation initially met at the Townsend Hall. They later purchased property at 2914 K Street, where they erected and dedicated a parsonage and chapel. In 1947, the State Highway Department advised the congregation to relocate because of plans for the construction of a freeway. The congregation subsequently purchased property on Grand Blvd. between 28 and 29 Streets. A surplus Army chapel at Vancouver Barracks was awarded to the congregation and transported to the site. On September 14, 1947 the chapel was dedicated as Memorial Lutheran Church to the glory of God and in memory of those who valiantly went forth in defense of their country in World War II. The original chapel, now referred to as the Parish Hall still stands, and has been used, over the years, for a variety of fellowship purposes, choir rehearsals, community events, etc. 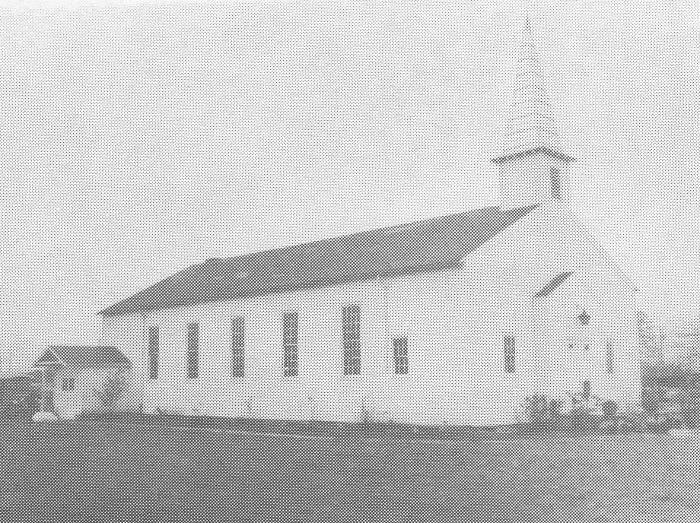 In 1964, the congregation awarded a building contract for a new church. The corner stone of the building was laid in August, 1964. A sealed box in the cornerstone contains: the New Testament, a copy of the Augsburg Confession, Luther's Small Catechism, a current issue of The Lutheran Witness, a copy of Memorial's history, a list of Memorial's officers, a copy of the Memorial Missile newsletter, The Columbian newspaper for July 31, 1964, the names of the President of the United States, the Governor of Washington, the Mayor of Vancouver, and the name of the church building contractor. 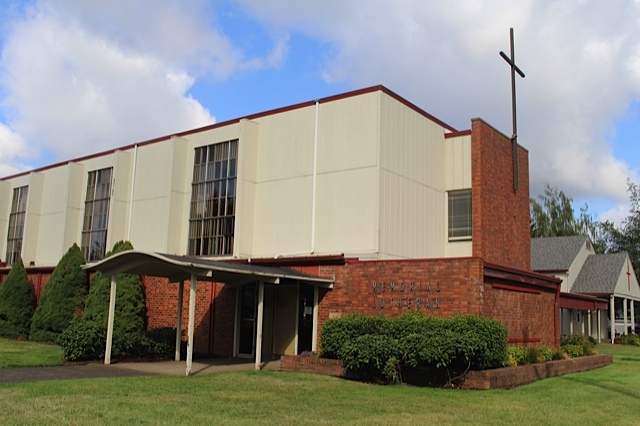 The new church was dedicated on October 18, 1964. Our current church office was constructed in 1952 and was previously used as the parsonage for the serving pastor and his family. 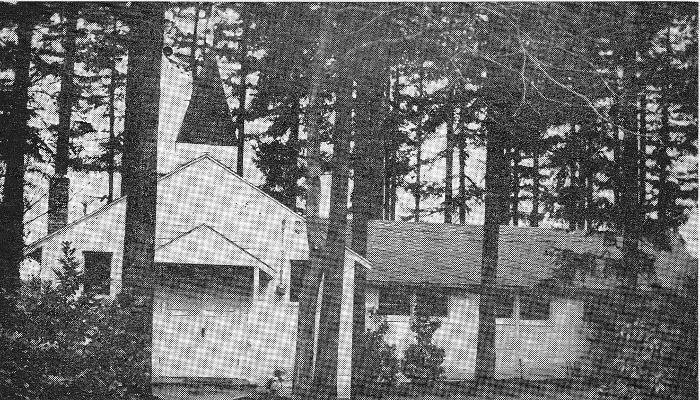 In 1969, new educational wing was built by volunteer workers and dedicated as the Bethel Wing. In 1974, another education wing was added for classrooms and space for church offices. It was named the Lail Wing in honor or former Nigerian missionary and, at the time of his death, member of Memorial, the Rev. Robert L. Lail, Jr. That same year the pre-school moved into the Lail Wing. Over the years, the Lord has continued to bless the congregation. We have been blessed with the leadership and spiritual guidance of several pastors over the years. Most recently, Rev. Theodore W. Will, Jr. was installed in July 17, 1988. One year later, Rev. Daniel J. Adams was installed as the co-pastor serving along with Pastor Will. Together they served Memorial in this capacity until June 2006 when Pastor Will retired and Pastor Adams began serving as the sole pastor at Memorial.